The move follows uncertainty over the participation of North Korean performers, due to the delay of a planned visit for the check of venues for the show. The North Korean side explains its move by claiming that the South Korean media is not only undermining the sincere efforts undertaken by the DPRK in connection with the Olympics in Pyeongchang, but is also denouncing the festivities to be held in North Korea. Under such circumstances, the DPRK could cancel the agreed events. The South Korean Ministry of Foreign Affairs, in turn, stated that it very much regrets the unilateral decision by the DPRK not to hold the events and stressed that under conditions when relations between the North and the South had just begun to be established, it was necessary to fulfill the agreed upon positions, based on a spirit of mutual respect and mutual understanding. Despite Pyongyang and Seoul having agreed in early January to a performance group of 140 North Korean musicians, singers and dancers holding a show during the Pyeongchang Winter Olympics, the North has later canceled a planned visit for the check of venues for the show. 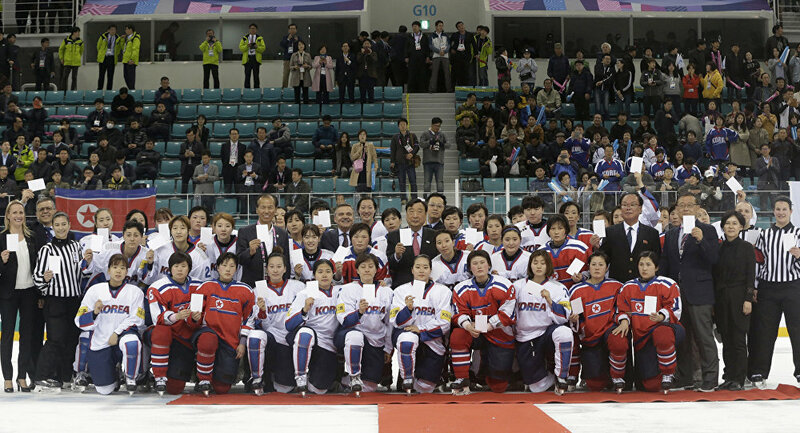 The performance was another sign of a thaw in the relations between the countries, to a great extent made possible thanks to the upcoming 2018 Winter Olympic Games in South Korea. The two Koreas managed to reach an agreement on joint participation at the Olympics in Pyeongchang, competing under the same flag in some disciplines. The IOC decided that at the opening ceremony of the Olympics, the delegations from the two countries should perform as one, under the name "Korea." The relations warm-up was triggered by North Korean leader Kim Jong Un's New Year address, in which he backed the idea of sending his country's athletes to the Olympics. North and South Korea have been divided since the end of the World War II and the situation on the Korean Peninsula grew particularly tense last year, as North Korea continued its missile and nuclear tests, despite the opposition of its neighbors and their allies.